St. Joseph’s Cancer Institute provides a full range of cancer treatment and support services. 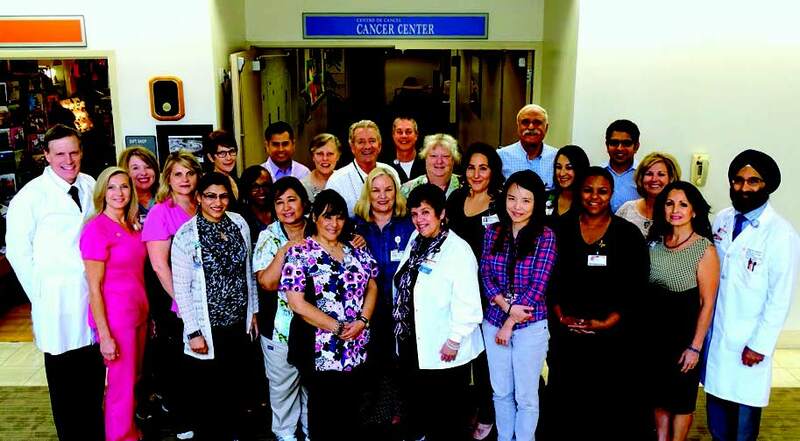 Our cancer care team includes nationally certified radiation therapists, a certified dosimetrist, a physicist, oncology nurses, and board-certified doctors, all working together to design highly specialized treatment plans. Radiation therapy is one of the most common treatments for cancer. It uses high-energy particles or waves, to destroy or damage cancer cells, emitted from a device called a linear accelerator. A linear accelerator delivers a highly focused, intense dose of radiation to conform to a tumor’s shape and destroy cancer cells, while limiting the dose to the surrounding organs and sparing healthy tissues. Most treatments are done in short outpatient visits of 30 minutes to one hour, requiring no hospitalization. As the patient lies on a table, the linear accelerator moves around to deliver radiation from several angles. The radiation damages cells by destroying the genetic material that controls how cells grow and divide. The goal of radiation therapy is to destroy as few normal, healthy cells as possible. In the United States, more than half of all people with cancer receive radiation therapy as part of their cancer treatment. At St. Joseph’s Cancer Institute, approximately 500 newly diagnosed cancer patients are treated each year, and approximately 475 of those patients receive radiation therapy. To accommodate the patient volume, St. Joseph’s Cancer Institute has two linear accelerators and provides more than 50 complex radiation treatments every day. Typically patients receive external beam radiation on an outpatient basis five days a week, usually spread out over several weeks, to allow healthy cells to recover in between radiation therapy sessions. Each machine is operated at full capacity; one is 10 years old, and the other is 18 years old - past the point of any further upgrades. As technology evolves, it is vital for us to keep pace with the changes. With your support, we have the unique opportunity to replace both pieces of cancer fighting equipment - our oldest model first, and the second model shortly thereafter. The costs to purchase this state of the art equipment are considerable - around $5.5 million, including construction costs. St. Joseph’s Foundation has committed to raise $2 million over two years. The sound financial investments of people like you - those who take pride in our community and value advanced cancer treatment, delivered with compassionate care, close to home - are central to the success of this meaningful project. Please consider making a gift today! 100% of every dollar stays local and goes directly to this project.